Major Walkman app version 8.1.A.0.3 update is currently rolling for Xperia Z1, Z Ultra, Z, ZL, ZR users and hopefully Xperia L users will also see this. 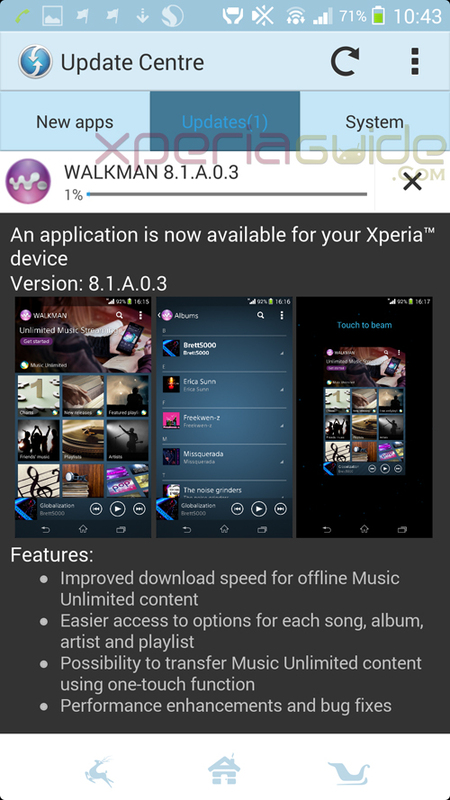 It follows Walkman app version 8.0.A.0.3 and Walkman app version 8.0.A.0.4 update which were seen a few days back before Sony rolled android 4.3 update on Xperia Z series. Walkman app version 8.1.A.0.3 update is an OTA update and you may find the notification in your update center app depending on your region it may vary. 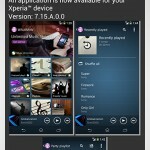 Walkman app version 8.1.A.0.3 is a 14 MB update which shifts the build number configuration from 8.0.X.X.X to 8.1.X.X.X. 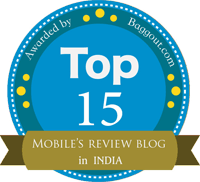 Improved download speed for offline Music Unlimited content. Easier access to options for each song, album, artist and playlist. 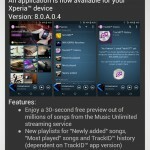 Possibility to transfer Music Unlimited content using one-touch function. 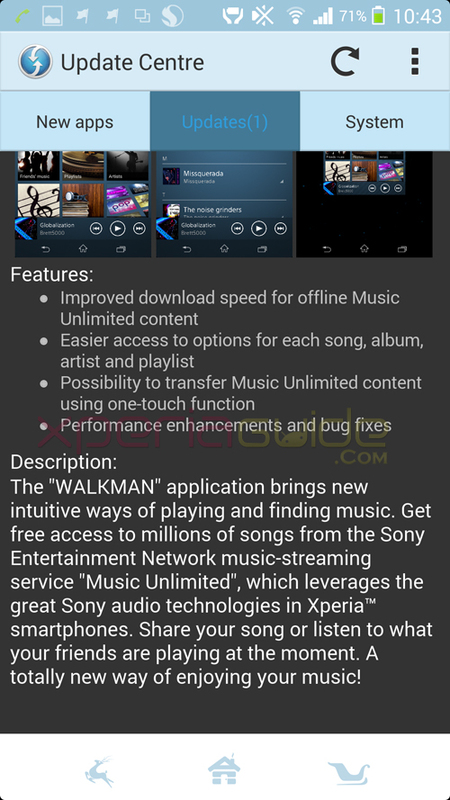 We have extracted Walkman app version 8.1.A.0.3 apk from our Xperia Z1, download from below link. 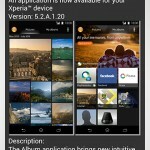 Install above file as normal apk, no root needed. 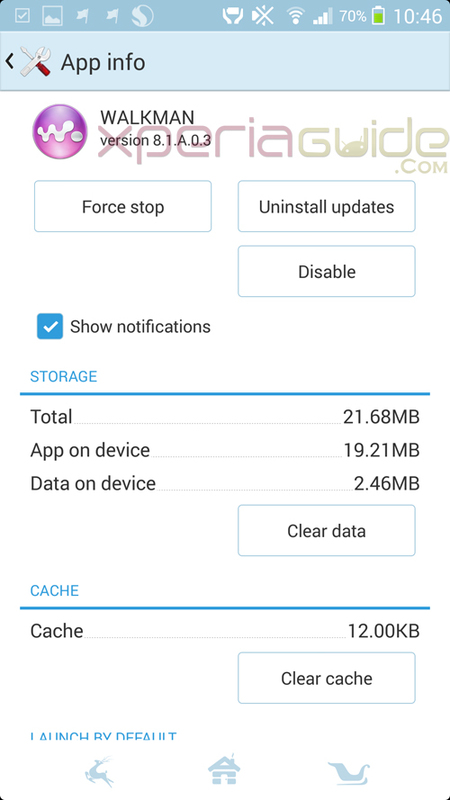 Previously on pressing “Sound Enhancement” in Walkman app settings for Xperia Z1 and Z Ultra users, app was giving error of “Force Close” now it has been fixed in this version. 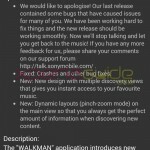 Walkman app version 8.1.A.0.3 update may be rolling on android 4.2.2+ Xperia devices and if above apk files works on any other Xperia device mentioned above do let us know in comments. Or try looking for an update notification in update center app. haven’t got the update to ma XL but installed the apk and works ok including lock screen widgets etc..
Hai, I am using Xperia L(android 4.2.2) with Walkman version 8.0.A.0.3. Music is breaking down when using bluetooh headset sbh20. It’s very annoying. What could be the problem? No any update on my Xperia c2305.please update 4.4 release. How can I install the file without rooting? Hey guys can I do this on my Xperia M ? Since the update I have found when receiving a text or any sort of message the music mutes and you have to switch Walkman app off and on again to resume…anybody having this issue..previously it would mute and go back to as it was,very annoying!!!! i wanna ask about error. 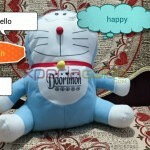 I have version 6 but i want install this. It is not getting installed.What to do? And its working very well. Clear Audio,Sound Enhancements works. But under settings then General, Share on Facebook is greyed out. Also Under services, Music Unlimited is greyed out. Appart from that, it works very well.